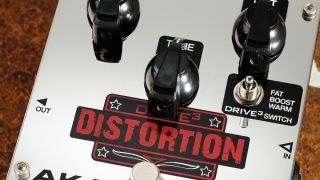 Clean beats are all well and good, but there are times when you need the character that only distortion can provide. To save you the bother of roughing-up your rhythms, we've put together this fine collection of distorted drum loops, all of which have undergone some kind of out-of-the-box processing. The distorted drum loop samples are divided into seven folders, each of which is labelled based on the tempo of the samples contained within it. The distorted drum loop samples are supplied in a zip file, so you'll need to extract them before you can see them. Enjoy!